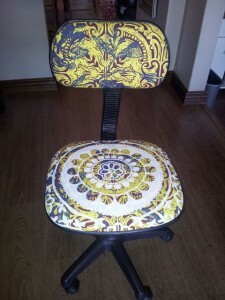 What do you think of this recycled computer chair? We designed this for a teenage boy using a double print fabric. We love this funky look.